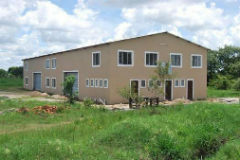 OM Zambia is a missions training centre that is equipping potential missionaries and the churches that send them. It is particularly aimed at mobilising the African church for the task of missions. It is based at a strategic location and produces good quality graduates. Many of them have gone to very difficult places and are being supported from the funds we provide. 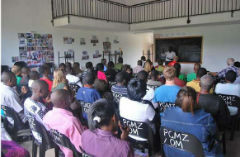 a) One to two week short courses that include leadership, world perspectives, children ministry, community health etc. They are in the process of building a new college about 5 km outside of Kabwe. This will enable them to more effectively train agricultural skills as well. Countries they work in include Zambia, South Africa, Botswana, Zimbabwe, Turkey, India, Tanzania, Chad, Malawi, Lake Tanganyika and bordering countries. In 2001 some of the BHW staff members were in Zambia and met the leaders of Pro Christo. They were about to shift to Kabwe and set up a training base. Over the next couple of years we observed their progress and learnt more about them. We liked what we saw and in 2004 we started supporting their work. In 2009 Pro Christo and OM (Operation Mobilisation) partnered together to create OM Zambia. OM and Pro Christo have the same vision and have been able to establish a great partnership. With this partnership they are able to send their missionaries further and the connection with OM has meant they have broadened their infrastructure. OM Zambia is an organisation that trains mainly African people to become missionaries in other parts of Africa and the world. About 50 students are trained each year and many of them go out into ministry and missions. Many of them are working in extremely difficult circumstances and very rural places. Their issues are compounded by the small amount of support from Zambian churches, though this is slowly increasing. There are two types of beneficiaries, the missionaries out in the field and those who are studying at the training centre in Kabwe. Bright Hope World and Pro Christo have a special relationship in Zambia. At the end of 2006, in the course of conversation it became evident that Pro Christo was struggling with space to grow and their rented facilities were not adequate. Discussions began and towards the middle of 2007 it was agreed that BHW would donate some land at Maplehurst Farm (ZAM21) for the development of a new training facility. Therefore at the end of 2007 the development was commenced and over the next few years a facility will be built. Passion: His passion is to see every tribe, language and tongue worship and glorify God. Background: Melvin has studied theology, social work, management, discipleship and missions in UK, Jamaica and Zambia. 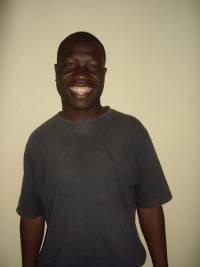 He has been in the ministry for more than ten years, doing church planting and has done pastoral work in the remote parts of Zambia. Family: Veronica is an agriculturalist by profession, but she has done management studies as well as psycho-social counselling. They have six children of whom two are adopted. Bertha is 22 years and in college and Marien is 18 years old and in high school. 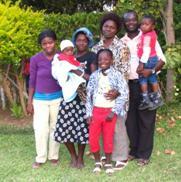 Their biological children are Bwalya, Natasha, Joshua and their youngest son Blessed. Melvin and his family have been with Pro Christo from the beginning. Current involvement: Isaac serves as Director of the organisation. He is involved with the co-ordination, administration, discipling, training and equipping of missionaries for pioneer work both inside and outside of Zambia. Background: Isaac served as a missionary for a number of years in Botswana. He has had 11 years teaching experience in various high schools, and Lillian is also a trained teacher. They have studied in the UK for 10 months at GLO. Isaac then served as Principal of the training, and now is head of the mobilisation team. Family: They have one biological child, John, and have adopted two other girls. Background: Cristopher and Jeanne joined OM after completing their training (as pastor and teacher) and serving in Belgium (1980-82). On returning to South Africa they served in a church amongst the xhosa people of Transkei. In 1997 they re-joined OM South Africa and have since been involved in training and discipling. They have served in Mozambique and Zambia – where they have been based since 2005. Family: They have six children; the three older girls are all using their qualifications in ministry and Jeanne is home schooling their two younger boys. Background: Hannes and Christel are South African and have been living in Kabwe for four years. Hannes is the director of all construction for the Maplehurst college and the IM projects. He previously managed Nakoli school in 2008 and then Christel took over that role in 2009. Christel is currently training a Zambian woman, Rachael Shipopa, to help with this role. 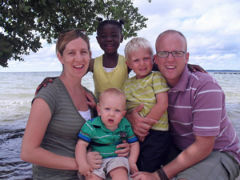 Family: They have two sons, Dian (3years) and Janu (11 months) and are fostering Margaret (7 year old Zambian). Operation Mobilisation is a bible based ‘faith’ movement committed to world evangelism. OM wants to challenge and train Christians to live and get engaged in cross cultural evangelism. Christians are challenged to live a life of faith, love and prayer as set forth in scripture. OM wants to express the compassion of Christ through material in relief (in times of disaster) as well as in social involvement to the poor and needy. OM wants to strengthen and help churches especially among the least reached. BHW is not the only source of income for OM and we would like to increase our level of financial support into the future. Vuyo Maweni is from South Africa and is studying Missions at Pro Christo. She has a vision to return to South Africa to mobilise black African churches for missions and share what God is doing throughout the world. She heard about Pro Christo in South Africa and became a member. She is the only black African member in South Africa. For many years Vuyo prayed to be led to a place where she could serve God. She was hungry to serve but felt that first she needed equipping. It was very challenging since she was not a part of any church house group and struggled to find a church. 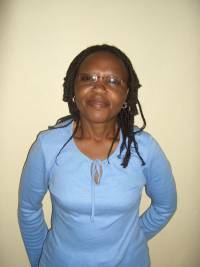 Vuyo sees that she has an important role to play informing and transforming church workers through discipleship and sending them to Pro Christo Zambia. She says that all may not be called to international missions but all are called to be disciples. She feels that she understands what it is like to be a missionary and lack support financially and support from a church. She came to Pro Christo without a church behind her and feels very vulnerable but sees how God is teaching her what she needs to know through this experience so that she can positively help to wake up and mobilise churches. The most significant thing that Vuyo has learnt this year is how to know God better. Since starting her course she feels closer to Him. Being out of her comfort zone has helped her to see and hear God better. She also looks at Pro Christo as a place to network and build relationships which will strengthen missions across Africa. “Being a black African woman is very difficult in this day and age especially when you are involved in churches. Many challenges come and there is much opposition,” she says. She is convinced that if it is from God then she will never fail and her vision will come to pass. Michael Mwale is a day scholar and the first member of his Bible Gospel Outreach Church Association to attend Pro Christo. He is a missions student who wants to go wherever God calls him outside of Zambia. He also has a passion to mobilise others from churches to reach out to their communities. Michael has a wife (named) ‘Mwadala’ and five children, three boys and two girls the second and third of whom are twins. Before he came to Pro Christo he worked as a cashier at a Hotel in Lusaka and then a take-away manager in Kafue. He resigned to go to Bible College in Lusaka. When he had completed his course he was sent to Kabwe to plant a church at ‘Landless Corner,’ about an hour north of Lusaka. Since planting the church he has felt a call to missions and has always had a passion for evangelism. A friend told him about Pro Christo and so he applied. Michael feels very blessed as when he applied to Pro Christo he did not have any money to pay. The day before school started Michael heard God say ‘be still and know that I am God’. He went to Pro Christo to tell them his situation. When he got home someone he knew called and donated money for his fees. This course so far has been a journey of learning to depend on God and have faith in God. Whilst he is studying Michael still pastors his Kabwe church. During the week his wife helps look after the ministry and he works full time in the weekend. Michael has been involved in market place ministry and has completed a course in psychology. It is a challenge for him to go to school as he is the oldest male in his family. This means he has a lot of added responsibility. He worries about taking care of them but says that so far- God has.